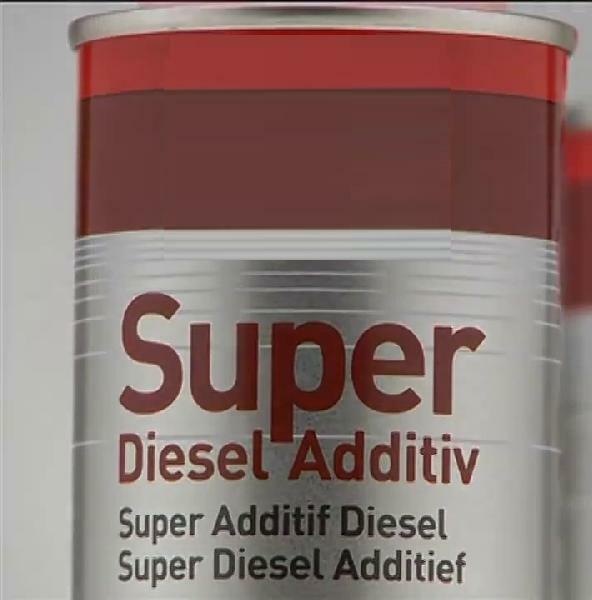 Super Diesel Additive is a new diesel fuel additive for combustion improvement and the faster acceleration associated with it, above all in partial load range. Fully compatible with all conventional diesel and biodiesel fuels. Speed Up Diesel considerably improves vehicle acceleration. Super diesel additive contains a mixture of agents with cleaning, dispersing, material-protection and cetan-number increasing properties which has been formulated for today’s engines, fuels and running conditions. The resulting Lubricity Improver provides better lubricity for diesel fuels low in sulphur. Due to the increased ignition performance, the fuel shows better combustion behavior when the engine is cold and the pollution from odours in the exhaust gases is reduced, suitable for all diesel engines and diesel fuels. Add to diesel fuel, especially for vehicle diesel engines as well as suitable for fast vans. For the improvement of vehicle acceleration and smooth operation. One 300 ml can is sufficient for max. 60 liters of diesel fuel. Mix the contents of the can with the diesel fuel. Mixing also takes place automatically.